Actor and dramatist, writer, journalist, costume designer, set designer, television writer. 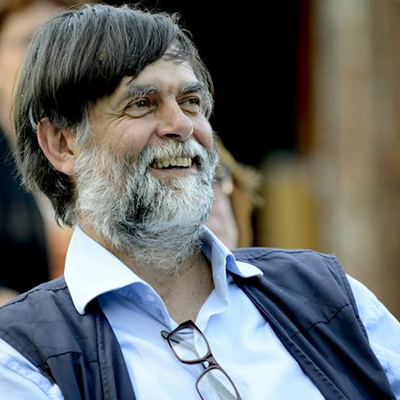 Founder of the Free University of Alcatraz, which is a tourist, education and culture facility in Gubbio, Perugia. Organizer of training events , he teaches several courses on art, energy-saving, eco-technology, nonviolence, entrepreneurship, promoter of the project Solar Eco-village of Alcatraz, in Umbria, from an early age Jacopo Fo worked first as a co-author of texts, a costume and set designer in numerous productions by Dario Fo, Nobel Prize for Literature in 1997, then as the author of his own shows whose topics often mingle the attention to social issues with an ironic and captivating style. He has written books for numerous publishers (Mondadori, Giunti, Nuovi Mondi …).